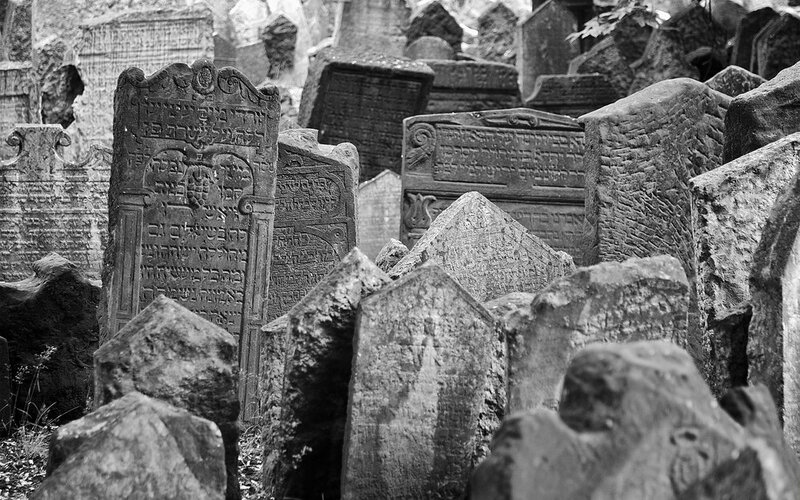 The Jewish cemetery in the Jewish Quarter of Prague is one of the most memorable experiences of my last visit to Prague. There is something powerfully symbolic, if not ironic, in the survival of this cemetery given the fate of the Jews in Eastern Europe. Some of the markers in this cemetery go back many centuries. Photographically, this is a fascinating place but challenging, in that creating a focal point is somewhat difficult. This photo was taken in color but I felt, as I often do, that color adds even more distraction. Thus, I created a fairly high contrast B&W image. As I look at this photo, the scene appears very well lit. But in fact, the exposure information will tell you that this is another photo that would normally demand a tripod. The trees and the cemetery walls create fairly deep shade. Again, I am grateful for the 24-105mm f/4.0L image stabilized Canon lens that I carry when I travel.